and invoicing software on your MAC computer in case you need to do so. 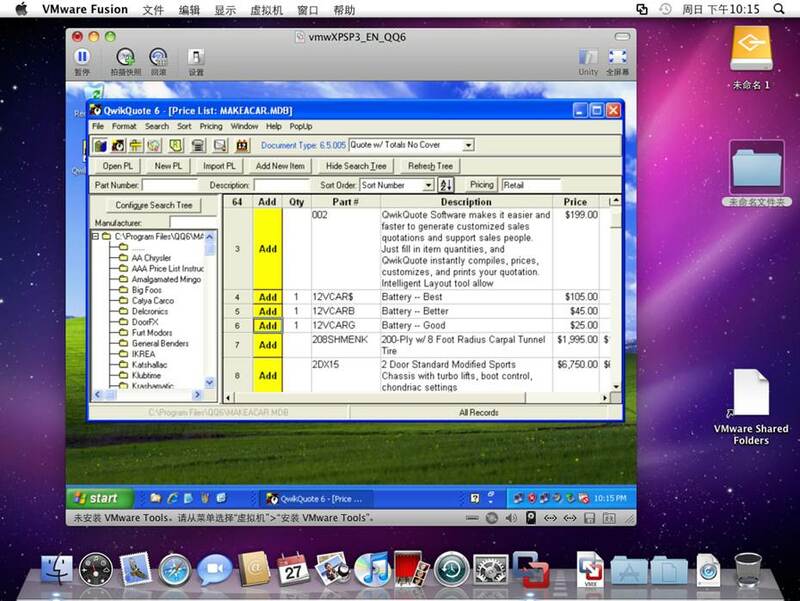 it is to run QwikQuote on a Virtual PC environment with gest Operating System of Windows platform. for possible solutions that meet your situations. software package. You can use them as a reference and adjust according to your actual situations. Note: VMware Fusion 3 only runs on Intel chip MAC. It does not run on Power PC chip MAC. 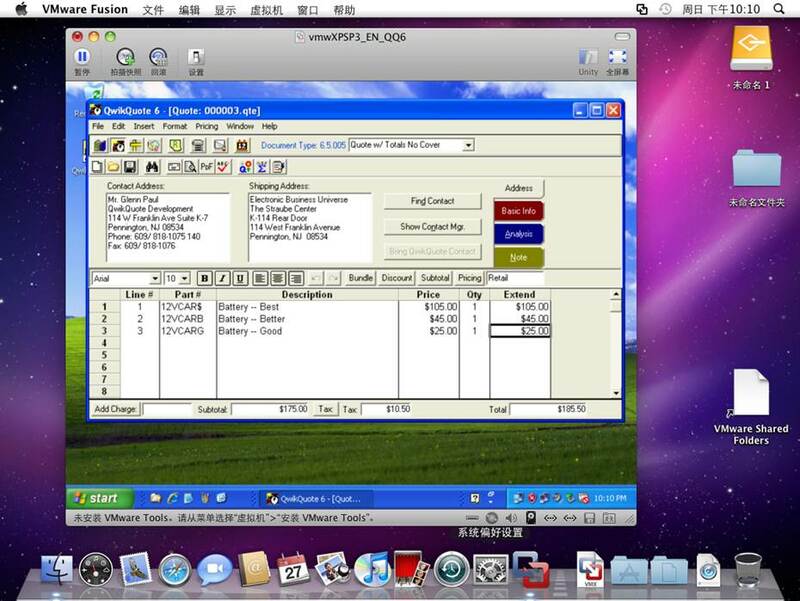 quotation software, and invoicing software solution on your MAC computer. 1. 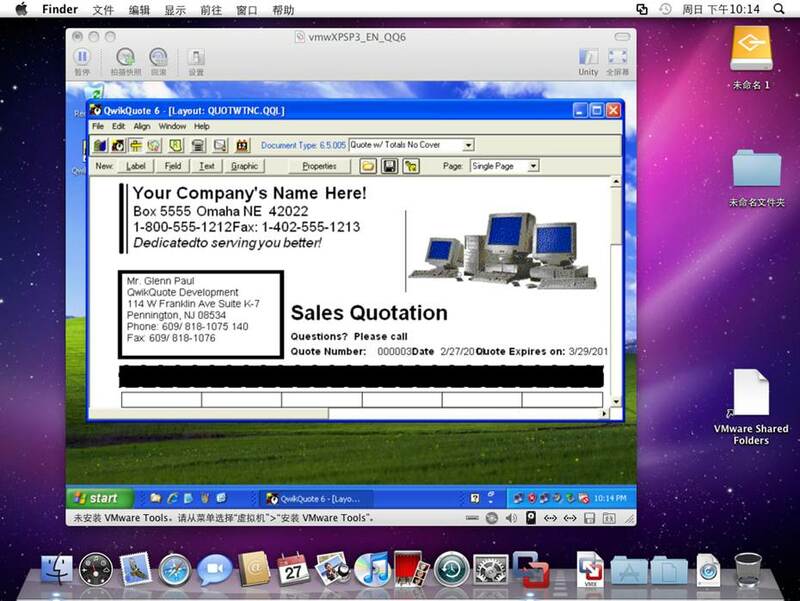 Download the VMware Fusion 3 for MAC from VMware web site. and then un-pack it to a folder for run in Fusion. and when you directly open it in Fusion 3 it will auto import it to run for you. quotation software, and invoicing software installation suite permanent. from Windows 95 up to Windows 7 and Windows Server 2008 R2 64 bit only. Follow create a new virtual pc of OS Windows XP and use the ISO file as install disk. and apply your QwikQuote serial number. to get your Sales Quoting Software, quotation software, and invoicing software system setup and run. Enjoy your QwikQuote on MAC!